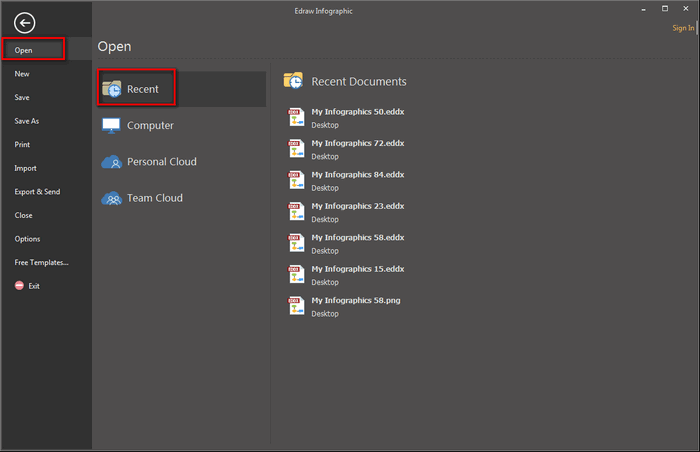 An easy way to export infographics to MS Word. Infographics are visual representations of data or knowledge intended to present information concisely and quickly. In this article, you’ll learn how to export infographics to MS Word format. 2. Click Open to open an infographic you recently designed. 3. 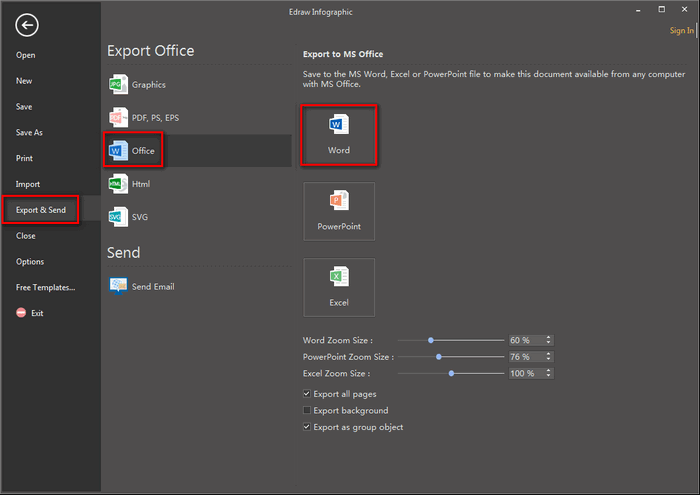 Navigate to File > Export & Send, select Office > Word. 4. Browse your computer and choose a location to save your converted Word file. After that, you will get your infographics successfully exported to MS Word. Here is an exported infographic Word example. Prepared well templates and examples for you to design an infographic easily. Built-in infographics elements make you create a creative infographic without any effort. 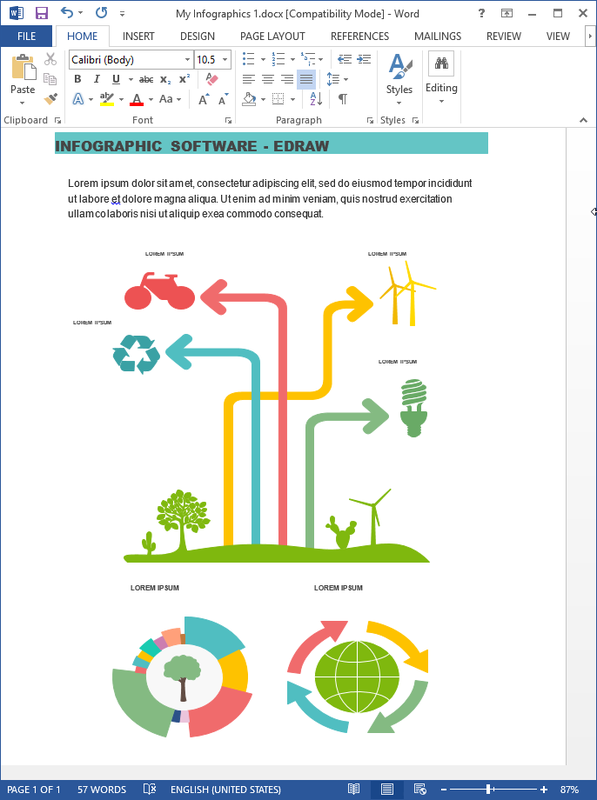 Support exporting infographics to PDF, Html, Visio, PNG, JPG, PPT, EPS, SVG and many other formats.